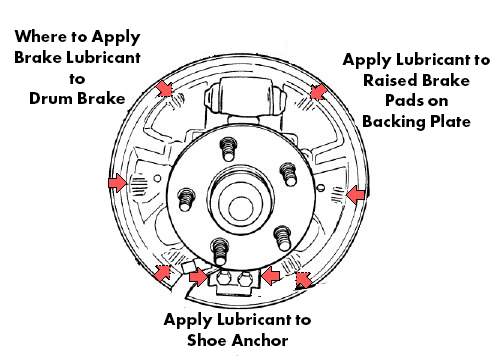 Keeping the brakes on your car lubricated is crucial to ensure that they work properly. It is critical to make sure that lubricant is applied to the correct part of the brake; an incorrectly lubricated brake can cause it to stop working entirely. Our Super Lube® Silicone Lubricating Brake Grease with Syncolon® (PTFE) is designed for caliper and wheel cylinder assembly work and should be used at every point in the brake system where parts slide or move. 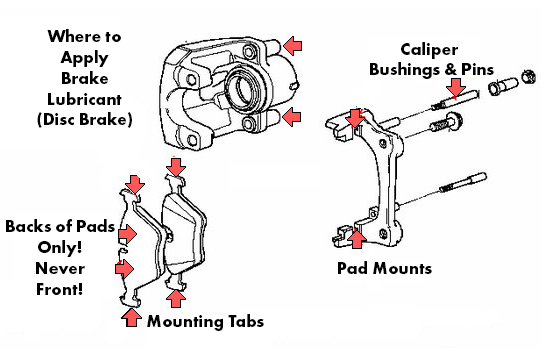 With disc brakes, lubrication points include: caliper slides, pins, bushings and contact points where the pads slide within the caliper housing. It can be applied on self-adjuster mechanisms on rear disc brakes with locking calipers, parking brake cables and linkages. Super Lube® Silicone Lubricating Brake Grease can also be used to dampen vibrations between disc brake pads and caliper pistons. It should NOT be applied between the pads and any noise suppression shims. Use it sparingly on the back of a bare pad or between the pad shim and caliper. Get Super Lube® Silicone Lubricating Brake Grease with Syncolon® (PTFE) now!